Today I’m gonna share with you something that could literally transform your mixes. It’s something I learned from my good buddy Graham Cochrane (who co-runs Dueling Mixes with me). I used this checklist just this morning, and it worked like a charm. 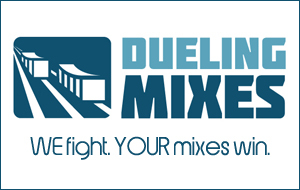 And while you’re listening, make sure you sign up for Dueling Mixes. We’re just a couple days away from releasing all new tracks for you to listen. It’s the perfect place to practice your mixing (and listening) skills.